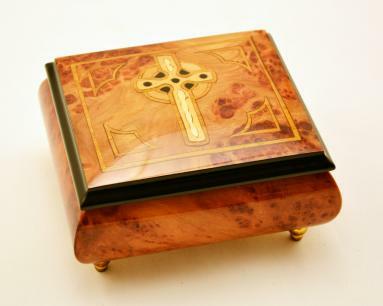 The Christian music boxes are inlaid with Christian symbols. 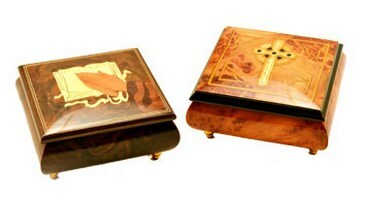 These boxes are soberly colored and hand painted with figures connected to Christianity. They will be much appreciated by religious people. The music boxes are individually hand-made by expert Italian artisans. These are ideal containers for keeping rosaries. The interior of these boxes are fixed with soft velvet. 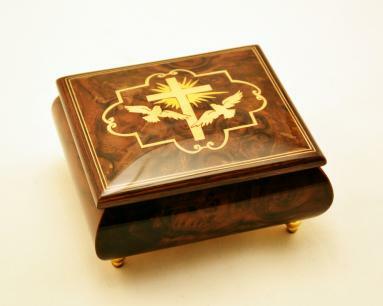 These Sorrento boxes have small golden legs that further enhance their charm.